Stampin' Up! Demonstrator, Mandy Reedyk, Peterborough, Ontario, Canada: New Clear-Mount Stamps by Stampin' Up! coming January 5th, 2010!!!! New Clear-Mount Stamps by Stampin' Up! coming January 5th, 2010!!!! Images © 1990-2010 Stampin' Up! Over the past few years, there has been enormous demand from demonstrators and customers alike for a line of repositionable clear-mount stamps. Well, you asked for it, and now you have it! 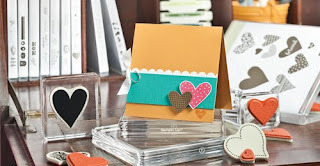 Starting with stamps in the 2010 Occasions Mini Catalog and the 2010 Sale-A-Bration Brochure, Stampin′ Up! now offers our exclusive stamp art in both traditional wood-mount, and the new clear-mount option. Clear-Mount Features Nine different sizes of clear blocks available individually or as a discounted bundle. Stamps and blocks are durable and easy to clean with your Stampin’ Scrub and Stampin' Mist. One of the most exciting things about our new clear-mount stamps is that now you have a choice. We (not to mention thousands of demonstrators and customers) love our wood-mount stamps, and they are not going away. As we present clear-mount stamps, we find that people have strong preferences either way, but now with clear-mount stamps, we can make sure everyone gets just what they want. Clear-mount stamps are ideal for crafters with limited storage space. It is easy to arrange several stamps on one clear block for a collage look. Wood mount stamps are an excellent choice for stampers with limited time. You don't have to constantly reapply your stamp to the block, just grab the stamp you need, and you are set to go! One option is not better than the other; it all comes down to your personal preference. If you exclusively use photopolymer stamps on acrylic blocks. Now you have the repositionable clear-mount stamps you love, along with clearly superior Stampin' Up! image quality and durability. Clear-mount stamps also create a fantastic opportunity for you to reconnect with past guests. Call your friends and let them know about these exciting new products in the Occasions Mini Catalog and tell them you’re having a Stampin’ Up! workshop soon. 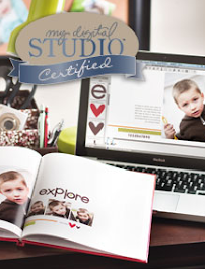 Sale-A-Bration is one of the most anticipated Stampin’ Up! events of the year and Sale-A-Bration products this year will be offered in both the clear-mount and wood-mount option.Book a your Sale-A-Bration workshop now to enjoy the great Sale-A-Bration hostess benefits, and to introduce your friends to the new clear-mount option. Q: Why have we decided to offer clear-mount stamps? A: We have long known of the demand for repositionable clear-mount stamps from both demonstrators and customers. The problem has been how to offer these features without sacrificing the quality of our product. It took us a while, but we did it! With these new repositionable rubber stamps and clear blocks, you get the same superior image quality and durability you are accustomed to, along with the ease-of-use and storability inherent in repositionable stamps. Q: How is clear-mount stamping different from wood-mount stamping? A: Clear-mount and wood-mount stamps are both made with the same quality rubber and foam. You will not see any difference in your stamped images with the clear-mount stamps. The clear-mount blocks have grooves on all four sides; the grooves in the block will feel the same in your hand as a wood-mount stamp. Your stamping experience will be the same with either format. The difference lies mainly in their features and benefits. Clear-mount stamps require less storage space, and you can place multiple images on the same block. Also the image on the back of the stamp can aid you in stamp positioning. Q: Is Stampin’ Up! eventually going to stop carrying wood-mount stamps? A: We have no plans to discontinue our wood-mount stamps. The benefit of offering stamps in both formats is that you will be able to choose the medium that works best for you. Q: Are the stamps completely clear, so the whole stamp is see-through? A: No. The blocks are completely clear, but the stamps use our same high-quality rubber and foam. There is, however, an image label for the back of the stamp (between the block and the foam) that will help you position the stamp on the paper. Q: Are there plans for acrylic (photopolymer) stamps in the future? A: No. Photopolymer would have been an easy solution for repositionable clear-mount stamps, but it is prone to stretching, tearing, and discoloration, and cannot produce the kind of crisp, finely detailed images Stampin′ Up! stamps are known for. Our commitment to offering the very best products in the crafting market simply would not allow us to offer an inferior product like photopolymer. Q: Is the clear-mount rubber different from the wood-mount rubber? A: The rubber on the clear-mount stamps is identical to the rubber used on the wood-mount stamps. Q: Is the clear-mount foam different? A: The density of the clear-mount foam is the same as the wood-mount foam. However, the foam on the clear-mount stamps has adhesive on one side (to adhere it to the rubber) and a cling coating on the other side to adhere it to the block. There is also a slight color difference to help you tell them apart. The wood-mount foam color is Going Gray, and the clear-mount foam color is Sahara Sand. Q: Will all stamps be available in a clear-mount option? A: Most of the new stamps in future catalogs will be available in both wood-mount and clear-mount options. However, the à la carte stamps and Build-A-Bear Workshop stamps will only be available in wood-mount. Q: How do you store clear-mount stamps? A: Clear-mount stamps come in a DVD-sized storage case, and can be housed in any storage system designed to hold DVDs. The artwork on the storage label is shown at 100% on the cover, and thumbnail size on the spine. The back of the case is clear, allowing you to see the actual stamps from the back of the case. Q: Will larger stamp sets (alphabets) come in larger cases? A: Stamp sets that are too large for one storage case will be packaged in multiple storage cases and will be labeled 1 of 2, 2 of 2, etc. Q: Can I get extra storage containers or labels? A: You can purchase a four-pack of clear-mount storage cases (item 119115). Extra labels are not available for purchase. Q: Do I need to use the labels on my clear-mount stamps? A: The labels are designed as a tool, and you can use them or not, as it suits your preference. The stamps are designed to cling to your blocks with or without the label. Q: How do I apply the labels? A: Applying the stamp labels is quite simple, and you will find detailed instructions located on the back side of the storage case label. The most important thing to remember is to leave the label on the sheet until you apply it to the stamp. If you remove the label first and then to try to apply it to the stamp, you will be unsuccessful. Q: Are the labels removable? A: The labels are not removable. It could damage the foam if you try to remove the label once it has been applied. Q: Does the cling ever wear away? A: The cling is a static cling and will not wear out. However, you do need to keep both your blocks and stamps clean in order for the cling to function properly. Q: Why isn’t my clear-mount stamp sticking to the acrylic block? A: Both the stamps and the blocks need to be clean for the cling to function properly. Clean both your blocks and stamps with Stampin’ Mist and try again. Also, if you have applied labels to your stamps, you need to press the stamp to the block with a moderate amount of pressure for a few moments in order for it to cling. Q: How do I clean clear-mount stamps? A: You simply use your Stampin’ Scrub and a few sprays of Stampin’ Mist. Use your Stampin’ Mist sparingly--if you get your Stampin’ Scrub too wet, the excess liquid can cause your stamp to come off the block, and may also result in some cosmetic damage. Q: How do I clean the acrylic blocks? A: Acrylic blocks need to stay clean in order to work well. Stampin’ Mist and Stampin’ Scrub will clean StazOn, Classic Ink, Craft Ink, VersaMark, and metallic ink stains from your blocks. Avoid using StazOn cleaner, as it leaves a slightly oily residue that inhibits the functionality of the cling. Q: How many sizes of blocks are available? A: The blocks come in nine different sizes, and have grooves on all four sides. Each block is labeled with “Stampin’ Up!” on one edge and the block letter on the opposite edge. You can buy the blocks individually, or can purchase the entire set as a discount bundle for 10 percent off the price of the combined blocks. Q: Can I convert my current unmounted stamps to clear-mount stamps? A: We do not recommend converting your wood-mount stamps to clear-mount stamps. The foam on the wood-mount stamp was not designed to be cling foam, and it is possible that you could damage your stamp if you try to alter it. Q: Can I use my clear-mount stamps on wood blocks? A: No. The static cling is designed to work on the clear-mount blocks, and will not work on the wood blocks. Q: I prefer traditional wood-mount sets, so why should I invest in clear-mount? A: We know most demonstrators and customers will prefer one system over the other. As a demonstrator, I will try to take at least one set of each type to all my workshops/events. You will then be able to see and feel both the clear-mount and the wood-mount stamps and decide for yourself which option best fits your stamping style. Q: Will I still need to use my Stamp-a-ma-jig? A: While the labels on the clear-mount stamps are closely aligned with the rubber, it is not exact. We recommend using the Stamp-a-ma-jig if your project requires exact alignment.